Let’s take a look at another budget laptop. 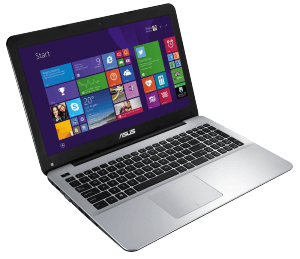 One of the best things about these budget notebooks is you can sell your laptop and be much closer to replacing it with the money you earn. No one is going to get rich doing so, but you can definitely make a positive impact on the planet by recycling your electronic waste. 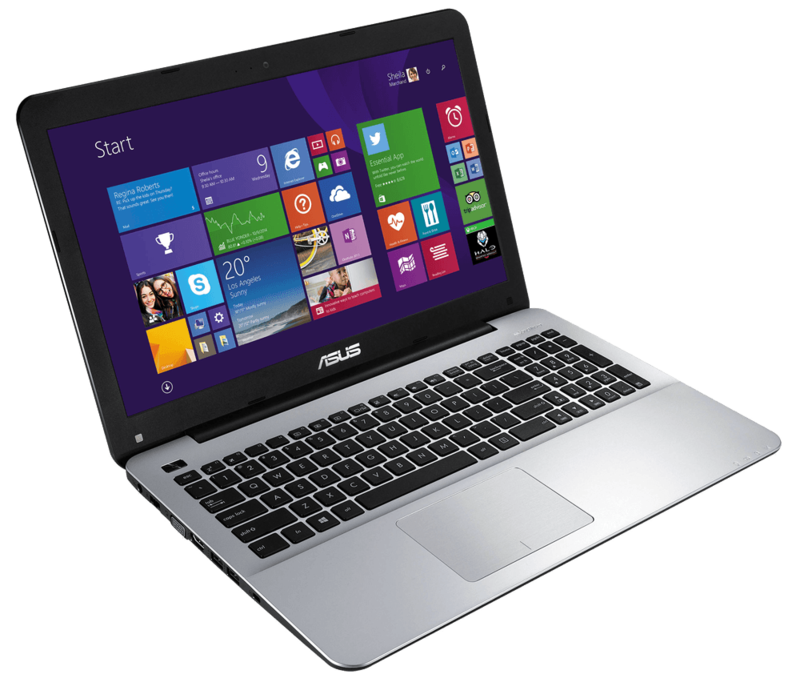 The Asus X555LA features some pretty decent specs for a budget laptop. 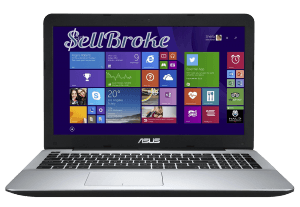 For $329.99 USD, this Asus come equipped with an Intel-Core i3-5020U, 4GB of RAM a 15’6” HD panel, 1TB drive that runs at 5400 RPM. The design you’re getting with this laptop is pretty basic, nothing to write home about, but compared to other budget notebooks this one actually looks more expensive. It weighs in a 5.07 pounds and measures at its thickest point at just over an inch. The top panel is black plastic with the Asus logo. The bottom part of the notebook is plastic as well and feels pretty durable. You’ll find the 4 rubber feet, a fan exhaust vent a removable cover to access Ram as well as the two bottom-facing speakers. 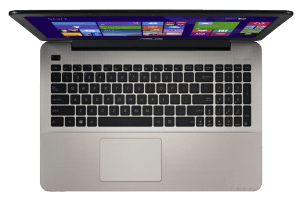 Looking on the right-hand side of this laptop you will see the charging port, gigabit Ethernet port, VGA port a full-size HDMI, to USB 3.0 ports and the Kensington Security Lock Slot. On the flip side you have an SD card reader, the headset/microphone combo jack a USB 2.0 port, and also a DVD drive. 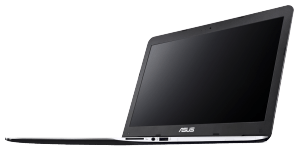 Our little Asus X555LA comes rocking a 15.6” display with a resolution of 1366 x 768p, it would be nice if more notebooks going forward were 1920 x 1080p, but keeping in mind this is a budget notebook, this is pretty standard. The color accuracy is just about average and on par with the low end laptops. sRGB coverage came in at 63% and Adobe RGB measured 47%. Screen brightness is decent at about 328 minutes in the Spyder4pro colorimeter. 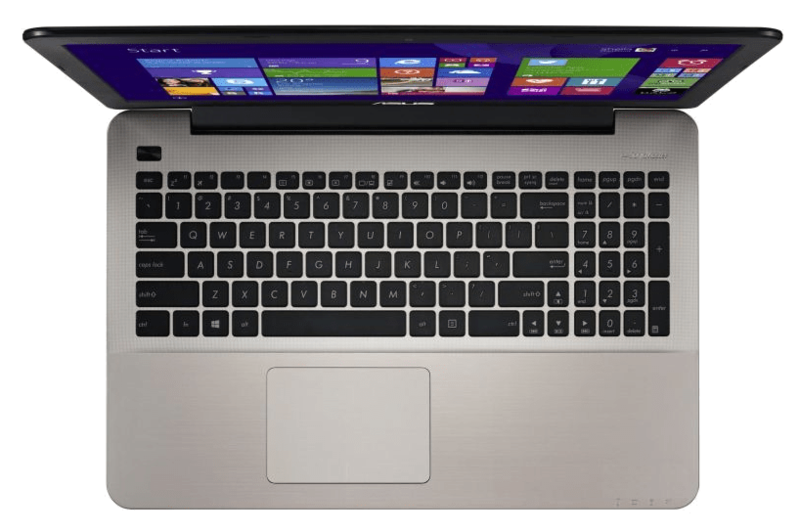 The Intel Core i3-5020U offers a good solid computing power from daily apps to some medium duty work. It clocks at 2.4GHz with no turbo boost available. 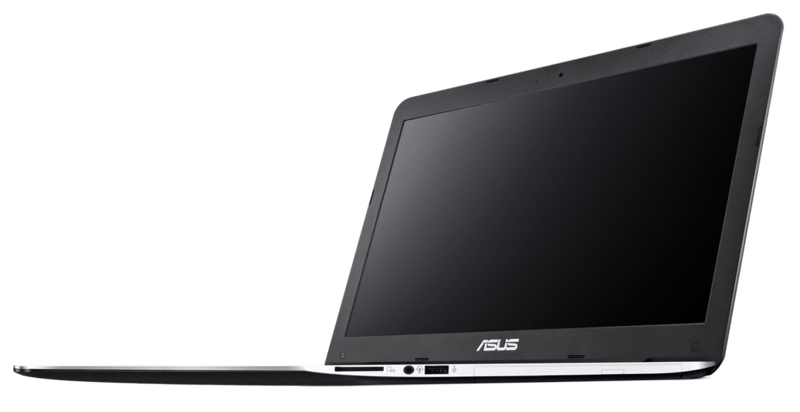 However for a CPU under $400 this Asus provides a pretty good product. The 1TB 54400RPM drive is painfully slow with write speeds at 101.9 MB/s and read speeds at 101.4 MB/s. To top things off Asus made the hard drive extremely difficult to access. The integrated HD graphics 5500 will allow you to play some light duty games like Minecraft, league of Legends and even Counter-Strike: Global Offensive on low settings, tis pretty playable with a frames per second average of about 25-30. The laptop comes with 4GB of soldered onboard RAM; however, under the cover on the bottom you have access to another DIMM slot where you can add a 12GB stick for a total of 16GB. The Keyboard is large and spacious but the key tactile feedback is really lacking. The key travel is decent and after about a week’s worth of usage you’ll be adjusted just fine to it. Another drawback to being a low budget laptop means that it doesn’t not come equipped with a backlit keyboard. The trackpad is large with a smooth surface. The sensitivity is very high on this pad and it will definitely take some time getting used to. As normal the two-finger scrolling and multi-gesture touch was accurate. The two bottom-facing speakers were pretty good. They are powered by SonicMaster and the sound quality was much better than other notebooks in this class. The battery performance was ok with 3.5 – 4.5 hours of usage with medium screen brightness. This was tested under light duty activities such as browsing the web, YouTube videos, and using Office applications for word processing. Sell your laptop and buy a new one. 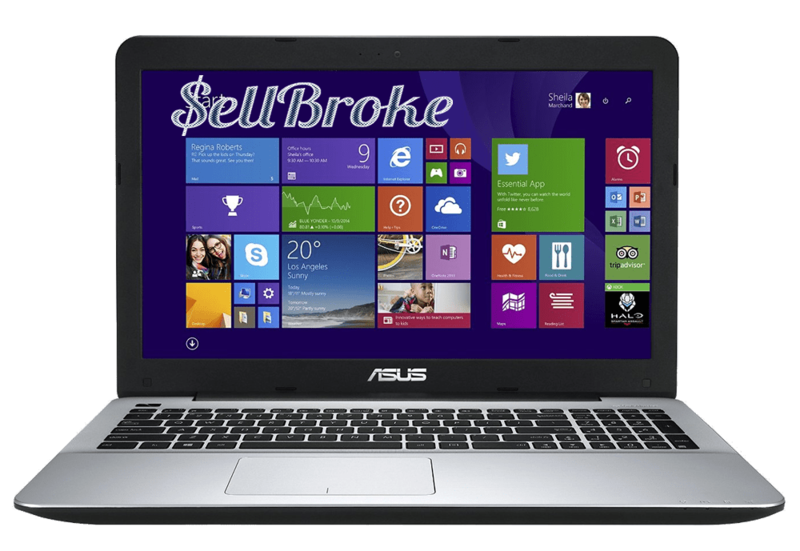 Sell Broke offers the easiest way to sell unwanted computers and electronics regardless of their condition. 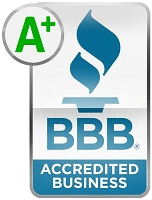 Save time and money with SellBroke.com!